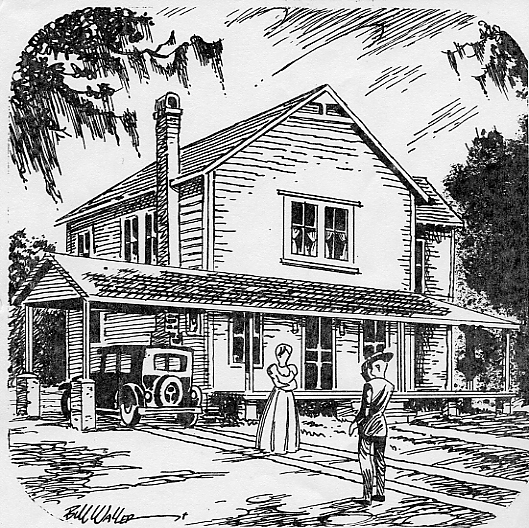 of Florida for permission to begin a Mission at Federal Point. 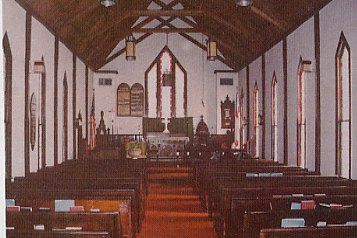 First services were held in a barn and in an attic room at Captain Smith's Store. 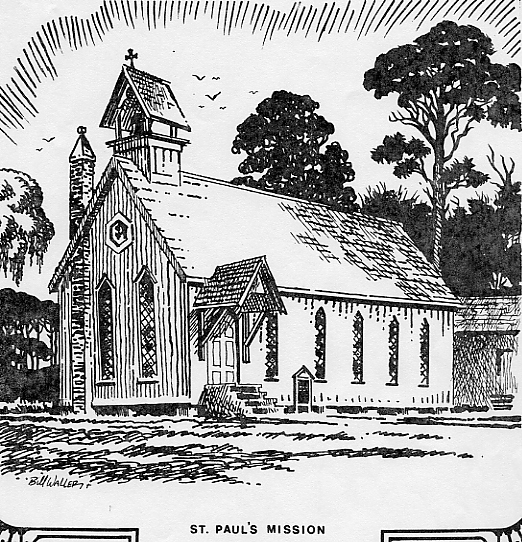 On June 7, 1882, St. Paul's entered into a contract to build the church minus windows or furniture for $1,000.00, on the condition the congregation carry the building material from the wharf. The building has become a place of considerable historic significance due to its age and "Carpenter Gothic Architecture." not been here before recognize that an addition has been made. 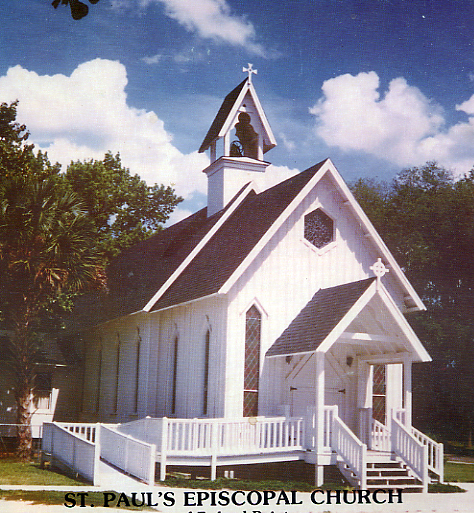 From its beginning the church has been the center of the river community as the meeting and voting place of Florida frontiersmen, wealthy winter tourists who arrived by steamboat, farmers, and all who would worship the Lord in peaceful harmony. Today, St. Paul's is much more than a building with a history. It is the spiritual home of a growing congregation of worshipers of all ages. The original congregation was essentially drawn from the immediate Federal Point area. The present day congregation, while still made up of many Federal Pointers, draws from a much larger area. We are a "family church" and are blessed by the many children and young people in our midst. The most obvious focus of our life at St. Paul's is worship. Central to worship - and to everything else is a commitment to the scriptures. Whether preaching on the assigned readings of the ectionary, or systematically addressing some great doctrine of the faith, or by detailed Bible study,we seek to know "the whole counsel of God" and to walk in the light of it. Finally, St. Paul's is distinguished by the love and concern for each other that is so evidentin many ways. As the songs says, "They shall know we are Christians by our love." Welove, because we have allowed God to touch our hearts. We want you to know that St. Paul's welcomes you and God has a place for you here. Join with us as we submit ourselves to the Lordship of Jesus Christ and share in our worship andfellowship.